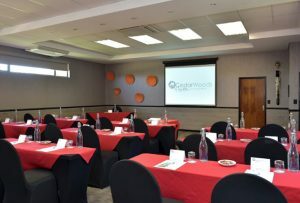 The CedarWoods of Sandton Hotel boasts 51 bedrooms in townhouse-style apartments, ranging from Single for the individual traveller to Superior Deluxe, accommodating the most discerning business person. 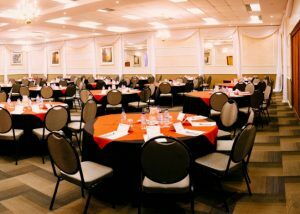 The rooms can accommodate a total of 88 guests. 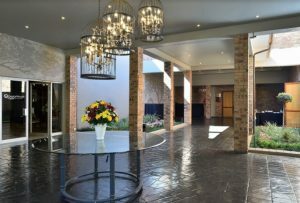 All bedrooms are air-conditioned and have a view of our country-styled, well-manicured and tranquil gardens. Free WiFi is offered to all our guests, as well as, tea- and coffee-making facilities, a minibar fridge and a flat-screen television. 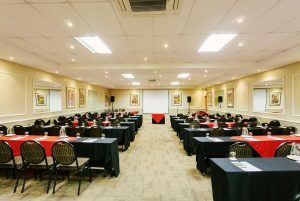 The hotel – situated close to the Sandton CBD, and the M1 highway to Johannesburg and Pretoria – is ideally positioned for the business and leisure traveller. 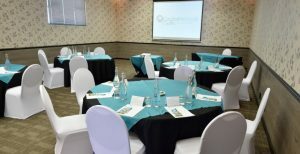 The hotel is located within walking distance of Sage Pastel, Woodmead, Hauwei South Africa, Woodmead Retail Park and The Woodlands office park. We also have an arrangement with a nearby gym for our guests to use the facilities for free. We provide a free shuttle service to nearby office parks and venues between 6am and 6pm, Monday to Friday (subject to availability). We also offer a free shuttle service for those who would like to explore Africa's premium shopping and leisure destinations in Sandton – Nelson Mandela Square, Sandton City, Woodmead Retail Park, Johannesburg Country Club, The World of Golf and Marlboro (Gautrain Station). For the individual traveller – are cosy open-plan rooms with vinyl flooring, walk-in showers, open-plan bathrooms and three-quarter beds. Which portray a cosy setting – have king size beds, en-suite bathrooms with a bathtub and an overhead shower. Designed for comfort and sophistication. They have king size or split single beds, very spacious rooms and most have balconies. Provides ultimate size and luxury. Rooms are on the ground floor with garden entrance and back areas. Each one has a dressing room/lounge area, and a sleeper couch for family stays.